Eric Sannerud, of the Minneapolis suburb Edina, had always wanted to farm. His great-grandfather started a farm in central Minnesota after coming from Norway. Unfortunately, there simply wasn’t enough land for Eric to join his grandparents, who now farm it. So goes the familiar tale of how tough it is for young people to start farming today. However, this particular version of the story changed when Eric met Ben Boo while the two were studying at the University of Minnesota. Sannerud was majoring in sustainability studies and applied business while Boo, also from suburban Minneapolis, was studying horticulture. They decided to twist together their skills and try growing hops. Now they have the largest hops farm between Michigan and the Pacific Northwest. Ben Boo, pictured in the tractor during harvest, now primarily serves as the farm’s agronomist, and Eric is the CEO. Research. They researched how to grow hops in Minnesota by starting with just a small number of plants—vines that can grow 18 feet tall—on a quarter acre of Sannerud’s grandparents’ land near Ham Lake, Minn. That test plot eventually grew to three acres with the help of a grant from an entrepreneurship incubator at the University of Minnesota. “Eric saw a void. Minnesota is the perfect growing region for hops,” says Andy Ruhland, who is the head brewer at Bad Weather Brewery and has been brewing craft beer in the Minneapolis-St. Paul market since 2012. Hops have not been grown commercially in Minnesota since before Prohibition. 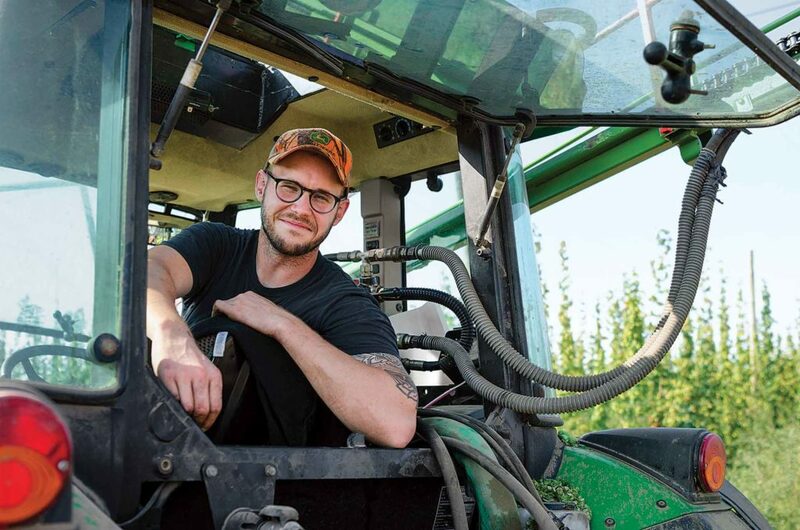 And six years ago when Eric and Ben started growing hops, there were only 25 acres of hops across the state, according to the MN Hop Growers Association. This is in contrast to 35,000 acres harvested in the U.S. in 2013, as reported by the USDA. The two say the hardest part of growing hops for them is the weather, with a shorter and wetter growing season than the Pacific Northwest farms. 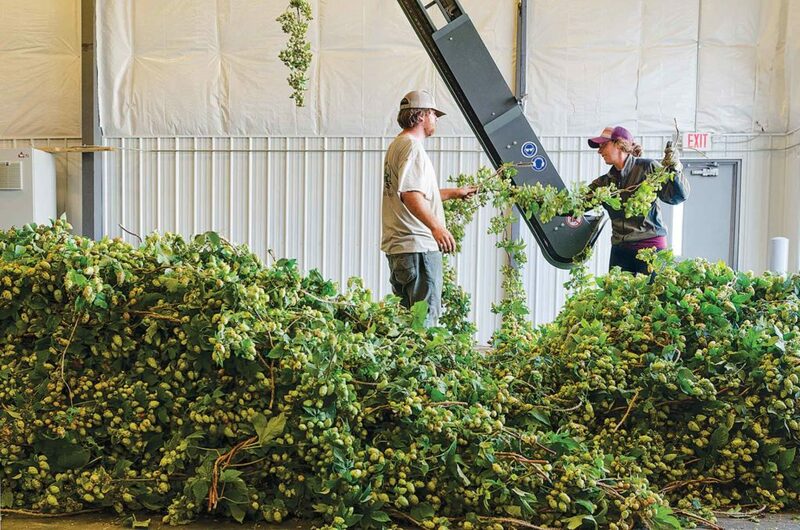 The majority of U.S. hops are grown in Idaho, Washington and Oregon. The craft beer industry was just starting to take off in Minnesota when the two started Mighty Axe Hops farm. There were only about 20 craft breweries in the state at the time, and now there are upwards of 170 and 7,000 nationwide. The hop—or cone-shaped flower that grows on the tall vines—is mechanically harvested, dried, compressed into pellets and kept in cold storage. Relationships. Producing a specialty crop whose characteristics differ greatly between varieties meant they had to quickly figure out which varieties their customers would want. Hops are not traded on the commodity market. They have historically been bought and sold on contracts years in advance. This is because the perennial plants take at least three years to mature, and large brewers want to ensure they will have the varieties they need for their recipes. 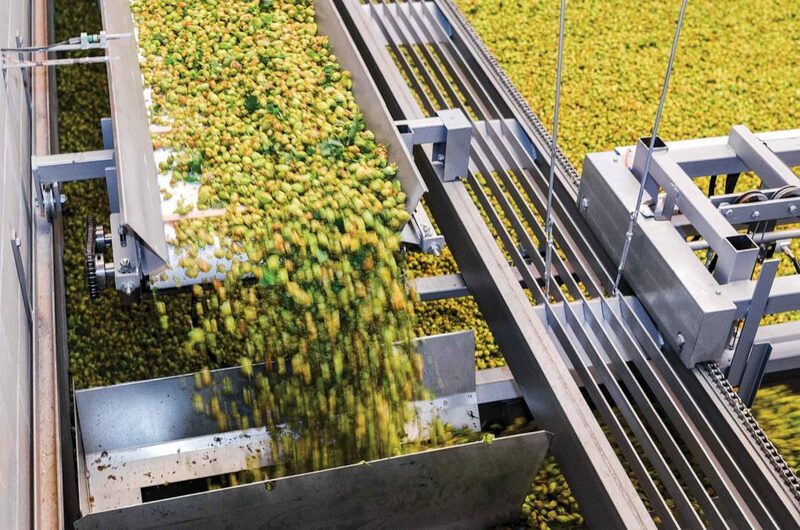 With the craft beer rise, this is shifting to more “spot buys” after the hops are harvested. Investments. Many tales of young, want-to-be farmers end because of financing. Eric and Ben found a way around this problem, too. Leasing farmland does not work well when growing a perennial crop with lots of physical infrastructure like hops on trellises. So in order for Mighty Axe Hops to add acreage and raise a sizable amount of hops for the growing number of local breweries, they needed to partner with an investor. Luckily, one came to them. Together they bought a large field near Foley, Minn., where they are now growing 80 acres of hops and built a processing, storage and office facility. If you think such a large increase seems risky, so do they. Just as there is no third-party market regulating the price of hops, there also is no crop insurance. “We are not hedging our bets. We are all in,” says Sannerud. Results. So far, so good. They are into their third year at the new location, and Mighty Axe Hops now has capacity to supply 10% of the hops for the Minnesota craft beer market. They are adding a full-time sales person and farm manager in 2019 and employ labor crews for spring and fall fieldwork through the H-2A Temporary Agricultural Workers program. “I like how they’re committed to producing the highest quality hops they can give you. That’s a big deal for us because we expect high quality malt and hops from all of our providers because it relates to how good the beer is going to be,” says Ruhland, who uses Mighty Axe Hops in several of his beers. The pair started out wanting to make a living farming, and they are doing that now and putting Minnesota on the map for producing quality hops.